This week has seen the publication of two well respected guide books for the pub trade. And the Geese and Fountain gets a mention in both of them. Firstly, the 2018 ‘Good Pub Guide’ came out this week, and features the Geese and Fountain in their ‘worth a visit’ list for Leicestershire. It’s our first inclusion in the Good Pub Guide, which takes recommendations from readers and invites review submissions to decide which pubs to feature. There are some very good pubs included in the Leicestershire section, and we’re very pleased to be listed alongside them. 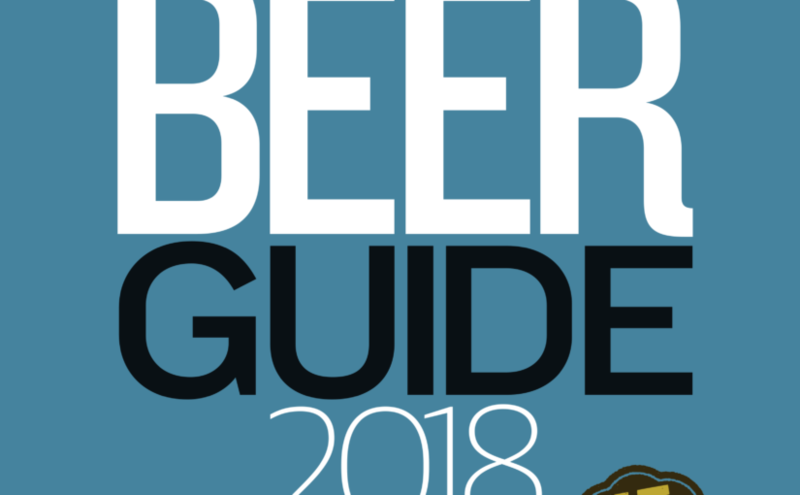 Secondly, the well-respected Good Beer Guide 2018 has just been published by the beer drinkers’ organisation CAMRA, and we’re included for the second year running. CAMRA have now been producing their guide to the best real ale pubs in the land for 45 years, and you can check out their ratings of pubs either in the guide or using their handy mobile app, or by checking out CAMRA’s online pub guide at whatpub.com. We’d like to thank all those who have recommended us for inclusion in either of these guidebooks, we really do appreciate the support. Reviews and recommendations are the best way for people to find out about us. This year we’ve been growing the first crop in our kitchen garden, and as a result we have a couple of exciting pieces of potato-related news, on both the crisps and the chips front. Firstly, the crisps which we serve alongside our delicious sandwiches have always been home-made, hand-fried in our own kitchen. But now they are also home-grown. And we’ll keep that up for as much of the year as we can manage. Home-grown tastes better, and it’s also better for the environment, cutting down transport pollution and ensuring that food is served as fresh as possible. We’ve got a long-term project to get the whole of the kitchen garden into use, but we’re starting small – with a potato crop for crisps and certain special dishes which will now feature home-grown potatoes. Secondly, we’re bringing down the price of our chips. Our duck fat chips are, quite rightly, a customer favourite. 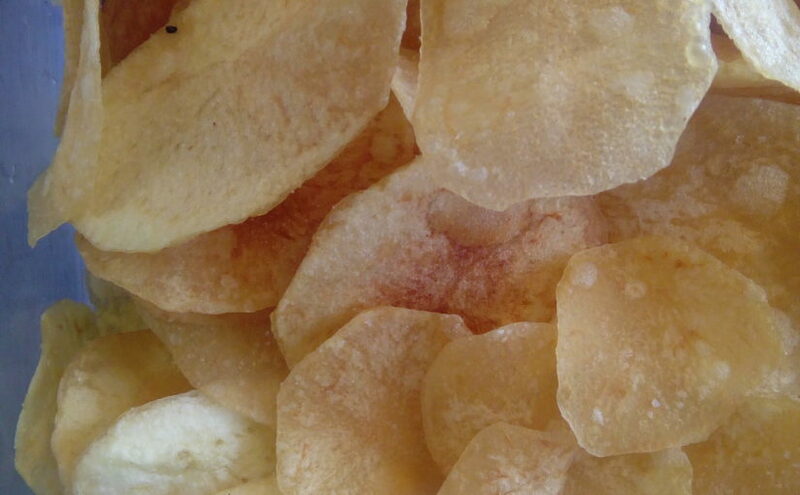 We’ve been told they’re “the best chips in the world” several times. Now, thanks to having a supply of home-grown potatoes to supplement those we buy in from our friends at Fruit Basket Direct in Nottingham, we can offer a bowl of chips for just £3.50 – that’s a reduction of a pound from our previous price. Now our chips are really as cheap as chips. We’ve also got apples, pears, raspberries and blackberries growing in the garden. If the birds don’t eat them all, watch out for more home-grown dishes on our specials boards later in the Autumn. And next year, there will be very much more. In the meantime, if anyone has a glut of any seasonal produce which they’d like to donate to Kate in our kitchen, she’d be very happy to make something amazing with it. We’re delighted to present the 2017 Christmas Menu at the Geese and Fountain, which will be available for lunch and dinner, from Friday, December 1st to Saturday, December 23rd, excluding Sundays. The Christmas Menu will be available by pre-order only, but there is no minimum party size – if you want to have Christmas dinner by yourself, or as a couple, you are very welcome. Groups up to approximately 35 can be accommodated subject to availability, so we’d advise larger groups to book early to avoid disappointment. As you’d expect at the Geese and Fountain, our ingredients are all carefully sourced, seasonal and often farmed locally. None more local than the delicious geese and turkeys farmed in Croxton Kerrial by Gerald Botterill. This year, we will be offering goose or turkey as the centrepiece of a traditional Christmas dinner with all the trimmings. Other local ingredients taking a starring role will include Belton Park venison in a juniper and red wine casserole, a charcuterie board featuring Rutland Charcuterie produce and a selection of our home-made breads, and Belvoir Ridge cream adding a perfect note of indulgence to our sherry trifle, and the stem ginger mousse. Naturally, our cheeseboard will showcase the best of local cheeses, from Lincolnshire Poacher and Sparkenhoe to the essential Christmas cheese: Colston Bassett Stilton. Tables must be booked and your selections from the menu ordered a minimum of 48 hours ahead. 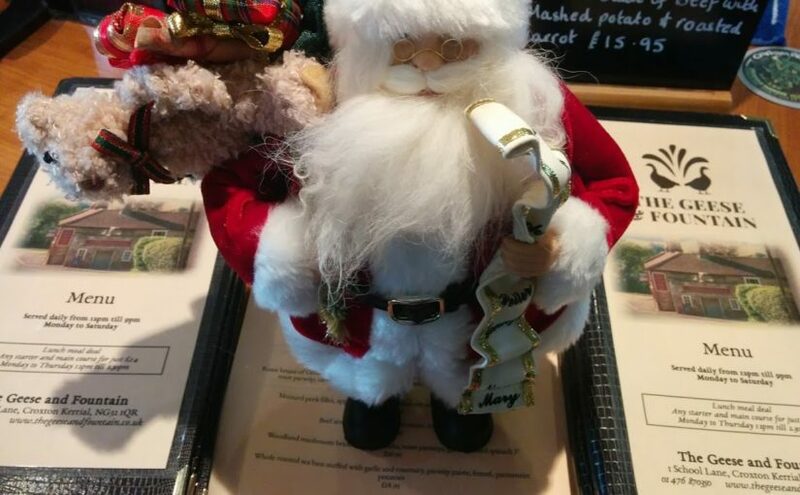 Bookings can be made by telephone on 01476 870350 or by completing the reservation form on the reverse of the menu and dropping it in to us at the pub. We look forward to celebrating Christmas with you this December.